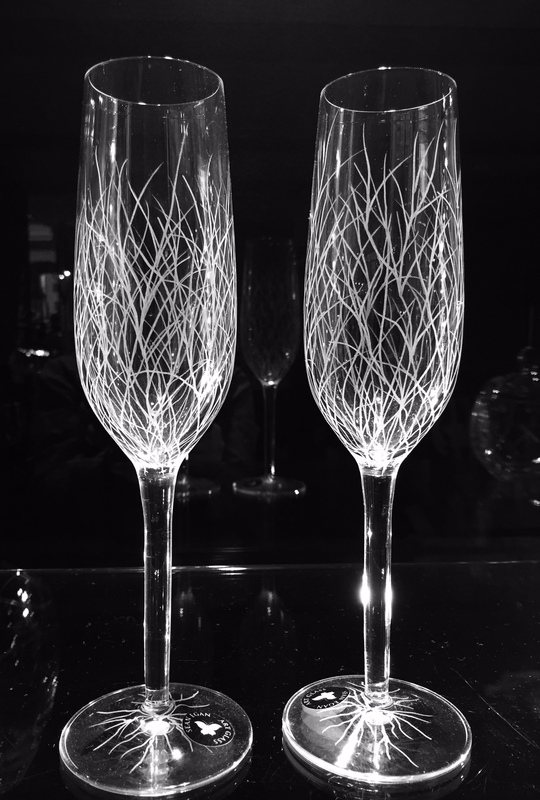 Weddings & Occasions: "Sea Plant"
Description 9" Toasting Flutes engraved with the "Sea Plant" design. Exclusive to Sean Egan Art Glass. They go with the "Koi Fish" Decanter particularly well.